Derby manager ​Frank Lampard has brushed off suggestions that he could replace Maurizio Sarri at Chelsea if the under-fire Italian is sacked. Following a recent run of form, which included a 4-0 thrashing at Bournemouth followed by a 6-0 demolition against Manchester City on Sunday, there are rumours that Sarri could lose his job just seven months after taking over at Stamford Bridge. As a former ​Chelsea legend who moved into management last summer, Lampard will inevitably be linked with the post whenever it becomes available, but he insists he is focused on the job in hand at Pride Park. "My job is here," Lampard told a ​Derby press conference on Monday, quoted by the ​Evening Standard. "We're working very hard and my thoughts are on Ipswich Town on Wednesday, and Brighton on Saturday." Chelsea's defeat against ​Manchester City was their heaviest in any competition since a 7-0 loss to Nottingham Forest in 1991, but Lampard believes his former team will bounce back. "With my Chelsea hat on, 13 years as a player there, you have a feeling for it and it's not nice, it's not easy. It doesn't happen to Chelsea much so when it does it's a shock," he said. "For Chelsea it was a tough day. With all top teams the important thing is you come back strong, no matter what type of defeat. What makes top teams is resilience and Chelsea as a club will have it." 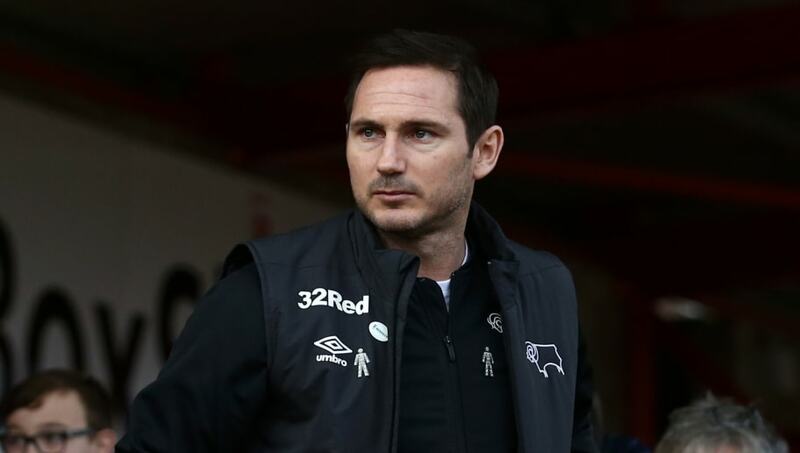 Under Lampard's guidance, Derby are strong contenders for promotion this season, with only goal difference separating them from the play-off places at present. They are also through to the FA Cup fifth round, where they face Brighton on Saturday.